Investigations are changing in multiple areas. Technology-specific investigative tools are more prevalent in the market, and access to information has greatly increased. The speed of leaks — real or misinformation into social media — can put an investigation at risk. Finally, the number of capable professionals in the investigative field has greatly increased with the growth of organizations such as the ACFE. Yet, many investigators go about investigations in the same manner and with the same tools and teams they used a decade ago. In addition, organizations face challenges in evolving their investigative approach, including the use of tools, teams and vendors. With a continued increase in whistleblower activity and rising costs in the investigative field, now is the time to reevaluate how we perform investigations, who we involve and the mechanisms we use. This session will discuss the latest techniques to drive effectiveness in investigations and explore how efficiency is defined among the group. 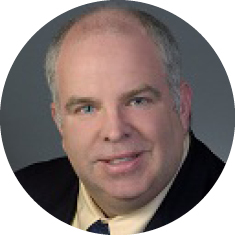 Dan Torpey is a CPA and forensic accountant and the U.S. Leader for EY’s Investigation & Compliance practice. He specializes in financial statement investigations and has also served as an expert witness in state, federal and international proceedings.